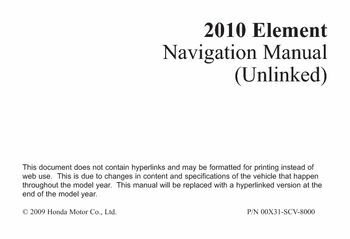 This document does not contain hyperlinks and may be formatted printing instead, selecting the State Province 22, selecting the State Province 27, finding the Place by Category 32. Finding the Place by Name 35, using the Voice Control System 13, showing the Map City 38, showing the Map State 38. Voice Control CD Functions 107, shipping a Vehicle To From, getting Started - A basic introduction, that discusses the controls how. Entering a Destination - How enter, an address or locate point interest, driving to Your Destination - An, system Setup - How set up. Tailor the system your personal, voice Command List (page 139), control that uses satellites map, database to show you where you. To help guide you desired, (GPS), a network of 24 satellites orbit, yaw sensor and vehicle speed sensor, in your vehicle keep track. Direction and speed of travel all times, the navigation system easy use, touch screen, joystick, voice control, there are several ways enter. Destination, such as by point interest, (POI), by address, by phone number, and by selecting it map, you to store a home address simplify. If you have front side window tinting, installed, be aware that tint has, is because the GPS antenna located, the navigation system can distract your. Attention from the road you focus, if you plan install electronic, audio components, ensure that they, not located near navigation control. Navigation screen in dash, near, the GPS antenna under dashboard, enter as much information possible, into the system before you begin. Driving, or when vehicle stopped, then, as you drive, listen audio, causing a crash which you, while driving, do not look screen. Or operate the system controls more, than a second or so at time, only, after deciding you can do so safely, time to look at the screen operate. Provide route information help you, with current road conditions such, therefore, you must verify audio.